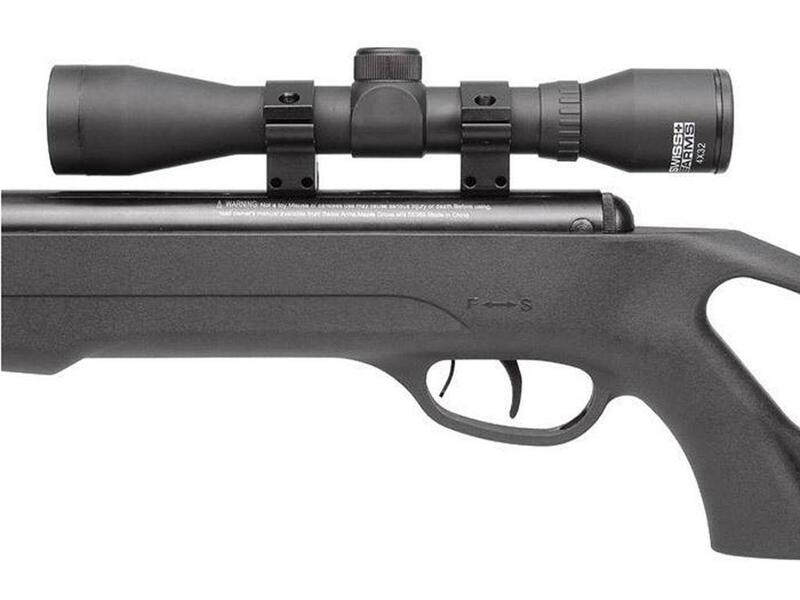 Swiss Arms TAC-1 Pellet Rifle | ReplicaAirguns.ca | Easter Weekend Sale! 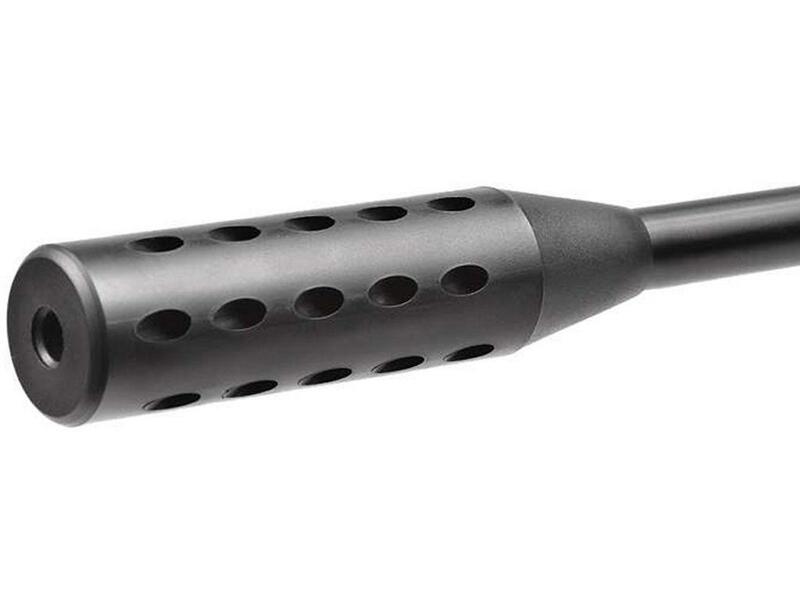 Comments: This spring powered pellet rifle is high-powered, low-cost, and deadly accurate. 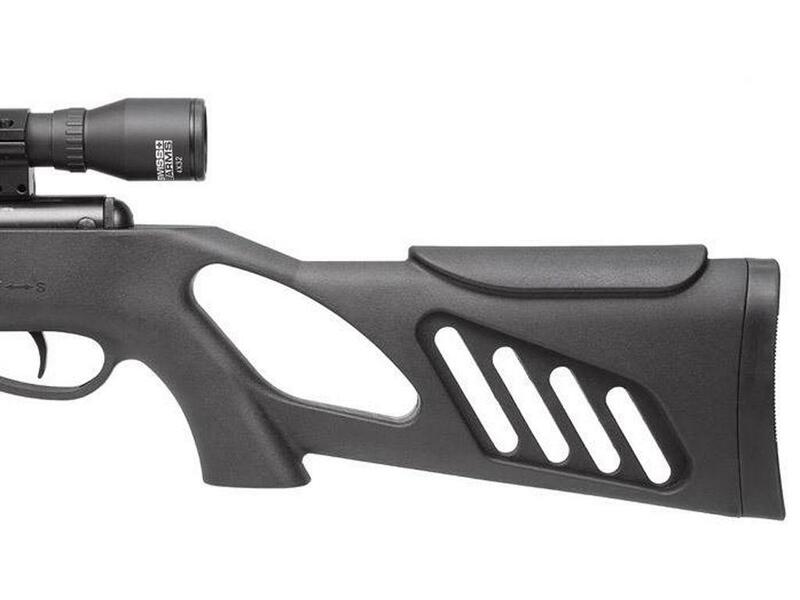 The economic design includes a polymer stock outfitted with high-end components, like the Swiss Arms scope, dovetail optics rails, and steel rifled barrel. 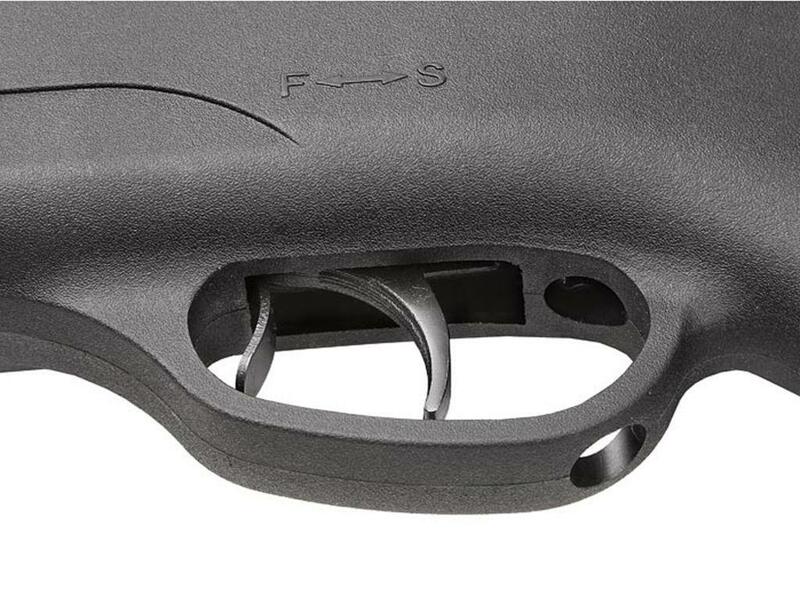 The muzzle break serves as a handle to break the barrel for loading and charging the spring. It may only shoot one round at a time, but the TAC-1 boasts a muzzle velocity unattainable by CO2 or green gas powered pellet rifles. I love this gun so much. You will have to zero in the scope but once it's zeroed in it's deadly accurate. The safety is easy to use. The gun is really well built except for ONE thing. Close to the break barrel mechanism, the plastic handle has some play in it, if it wasn't for that, the gun would be perfect. Either way, I do recommend this gun to anyone. It's cheap, accurate, fun, AND LOOKS AWESOME.